Synopsis: “Magical realism, lyrical prose, and the pain and passion of human love haunt this hypnotic generational saga. 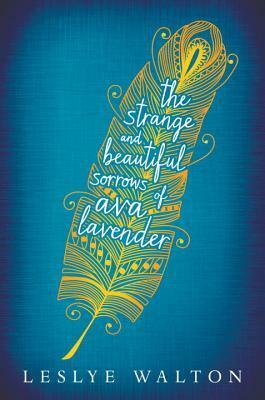 Ava Lavender is a generational story told by a girl who was born with the wings of a bird. It is a story about love at its very basis – of its discovery, loss and understanding of the emotion. The novel is filled with magical realism that blends in so flawlessly with its characters that you never really stop to think that it’s out of place. Not when a young girl suddenly turns into a canary, or when a child is born with wings. It’s hard to put into words the sheer beauty of the novel. I am really surprised that this is a book from a debut author, because the writing sounds so polished and lyrical that it almost sings to you. So much applause for Walton for creating such a hauntingly beautiful novel, which I had such a hard time putting down. All the characters in the story were so realistic it feels like you’re a part of the Seattle town they’re living in. Each had their own backstory, from the angry John Griffith to the pious Nathaniel Sorrows who waltzed into town to take care of his aunt. Even the house Ava lives in has a back story. Walton does a really good job at setting the scene as well as creating well rounded characters. From the beginning, while we’re following the story of Ava’s grandmother Emilienne, Walton builds a picture of the family’s apartment in Manhatine with such detail that you’re almost standing there beside the characters as they go about their lives. Unfortunately the same cannot be said for their house at the end of Pinnacle Lane. All I can picture of it is the third floor, which no one went up to until the very end. But that didn’t impact on my love for the novel at all. A few reviewers have touched on the fact that this story is not based solely on Ava, and because of this it felt misleading. I think they’re forgetting that it is essentially told by Ava, as she discovers her family history as well as herself. In order to understand who she really is, Ava had to start from the beginning – with Emilienne. Plot wise, it’s not what you would deem as action packed. The novel follows the lives of three generations of women and how they deal with the idea of love. It’s heartbreaking to read about the tribulations each woman goes through due to love, but it also opens your eyes to the effects it can have on each person. What Walton aims to do is tell the reader what it means to be human, even when you’re a little different from the norm. We all have the same range of emotions, and we’re all affected by the intricacies of life. The message I took away from this novel is that only you have the power to pick yourself up from heart-break and all the bad things that can happen on a daily basis. Your life should not depend solely on who loves you – because there are so many definitions of love. I was so happy when Emilienne and Viviane finally recognised how to love again, because it just shows it’s never too late. I’m so thankful to have read this book – it’s definitely one that will stick with me for a very long time. If you ever get the chance, pick up this novel. I can’t guarantee you’ll love it, but it may open up your eyes. Thank you to Walker Books Australia for providing me with a copy in exchange for an honest review.